Ashley Glass anchors ABC Action News weekend mornings and reports throughout the week. 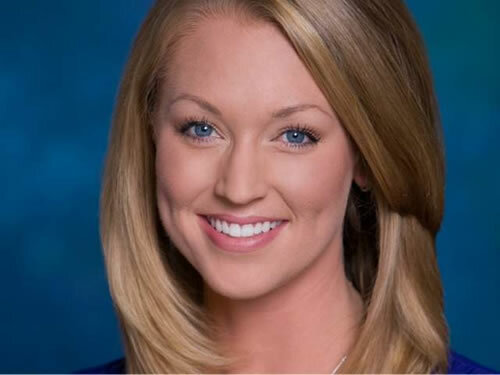 Prior to arriving at ABC Action News in March of 2010, Ashley worked on-air at WPEC in West Palm Beach, FL, WICS in Springfield, IL, WRSP in Springfield and Champaign, IL, and WCJB in Gainesville. Ashley has covered a wide range of stories of national significance, including then Senator Barack Obama’s presidential candidacy announcement in Springfield, IL in 2007. Ashley also appeared on CNN with Nancy Grace and FOX News with Shepard Smith with coverage of the Dalia Dippolito murder-for-hire case in Palm Beach County, FL in 2009. While reporting for ABC Action News, Ashley covered the Gulf oil spill and recovery in the Florida Panhandle, the Casey Anthony trial in Orlando, the final launch of Shuttle Discovery in Cape Canaveral, and the case against George Zimmerman in Sanford. She is also an experienced severe weather reporter, having covered tornadoes in the Midwest and hurricanes in Florida. The proud daughter of a retired Navy pilot, Ashley moved around a lot as a child but grew up mostly in Orange Park, FL. It only makes sense one of her favorite stories was flying at almost supersonic speeds with the U.S. Navy Blue Angels. She graduated from the University of Florida with honors with dual degrees in Telecommunications-News and Political Science.